The following post is the fourth in a series. To read from the beginning click here for Part I. As the night progressed, one by one, people laid down to sleep, but Crystal, Fernando and I remained awake. I sat upright, avoiding the temptation to lie down, knowing it would induce sleep. Each time I felt sleepiness descending upon me, I’d eat another wedge of peyote and the it would lift. I did not experience the nausea some people describe, but I also did not experience any far out visions beyond that first subtle one of the Blue Deer. I’d forgotten my watch at home, but the constellations, as they rose and gradually made their way across the sky accompanied by the bright moon, served as a timepiece. 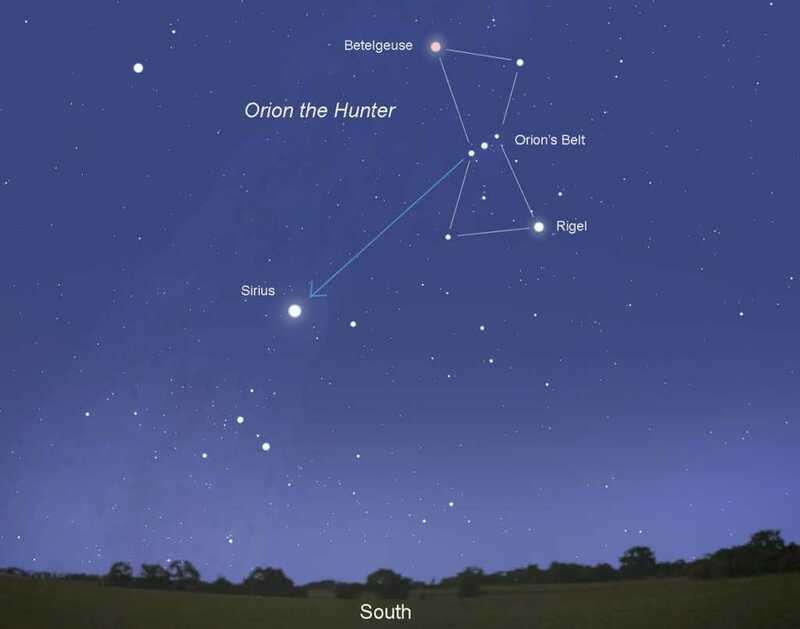 Gradually Orion appeared, followed by Sirius, the Dog Star, the brightest star in the night sky. I have a particular affinity for Orion and Sirius, hailing from when, on still winter nights in my youth, I often lay in the deep snow blanketing our yard to gaze at the night sky. Aside from the Big and Little Dipper, the only constellation I knew was Orion. We’d learned a song in school about Orion and it played over and over in my mind’s soundtrack as I looked skyward. What other thoughts I had lying out there wrapped in my snowsuit, I don’t recall, but even then I knew there was much more to the Universe than my young mind could possibly comprehend. As the night of the peyote ceremony progressed, I grew impatient for sunrise, feeling night would never end. The moon had arced its way across the sky and sat above the western hills behind me, shining down upon us like a huge flashlight. Orion tilted towards the hills laying on his side just above the moon, while faithful Sirius remained, as always, to left of and below his foot. I turned my gaze back to the fire and tried to concentrate on Guadalupe’s chanting. Something told me that sunrise would be a significant time in the ceremony. I bided the time. After what seemed like another hour, I again looked over my shoulder to check the progress of Orion, Sirius, and the moon in their descent toward the hill. What I saw left me befuddled. Orion and Sirius had disappeared below the hill, but the moon remained in the position I’d last seen it. How could that be? I looked back at the fire, thinking it must be a trick of my vision and Orion and Sirius must still be there. I turned again to check and saw that indeed they were not. I nudged Crystal who sat quietly next to me. “Did you notice the moon,” I said, gesturing with my head. She shook her head no, so I asked, “Look at where it is now. Please take note and then let’s look again in a while.” She agreed, noted the moon’s position, and we turned our attention back to the fire and Guadalupe’s chanting. A while later, Crystal got up and left. When she returned, I thought it was a good time to check on the moon, time having been tangibly marked by her departure. I couldn’t believe my eyes! There it sat, in exactly the same place, a short distance from the top of the hills! When I pointed it out to Crystal, she smiled the same mischievous grin that Ayax had exhibited when I mentioned seeing the blue deer. Finally, the sky began to brighten. As dawn approached, Mario instructed us that we should take our last piece of hikuri. Once again I chewed the strange cactus up into a mash. Having swallowed it, I prepared myself mentally for what I thought would be a sunrise ceremony, but rather than gathering into a circle and chanting as I’d expected, everyone began gathering their things while they chewed their last piece of peyote. Convinced that I needed to see the sun rise, I stubbornly ignored the others and sat cross-legged on my blanket watching the eastern horizon. Every few minutes I looked over my right shoulder to check on the moon, which remained hanging above the hill. I now knew for certain that it hadn’t moved for hours. As I sat and waited, I remembered that people report seeing a green flash at the instant the sun breaks the horizon, so I focused my attention on the brightest spot, only breaking my glance briefly to check on the moon. 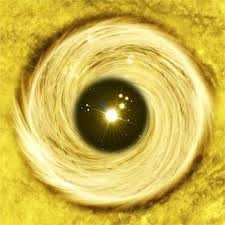 The activity of the others around me was getting boisterous – they were talking, gathering their belongings, walking between me and the where the sun would rise. I wondered why they would ignore the most important moment of a new day and tried to stifle my annoyance. Eventually, I felt I had to stand up, or I might be swept up in their activity. So I stood, continuing to stare at the horizon. When the sky got so bright that it became clear dawn was imminent, I decided to ignore the moon and kept my eyes focused eastward. In a flash of whitish yellow light, the sun suddenly appeared above the sea and the sky filled with an intensity that contrasted sharply with the many hours of darkness I’d just experienced. As it rapidly rose, I began to feel the pull again of the moon and turned my whole body to face it, half expecting it to be gone. But no, there she was hovering in exactly the same position. I turned to look at the sun, then again to the moon. Back and forth I went, conflicted about which body I needed to gaze at. I wanted to combine their energy somehow and felt as though I was a link between the two. After several minutes of trying to look at them both, the sun morphed into a strange rotating silver disk, so I focused my attention on it. Then I realized it was not a disk at all, but a hole, a portal of some sort. Beyond the portal the sky turned golden, the sea became lavender and a perfect right-hand wave broke continuously. Behind the wave rose a steep volcanic mountain covered in lush vegetation. I realized I was being beckoned to pass through the portal to visit the idyllic scene. Despite feeling incredibly drawn to go ride that perfect wave, a different kind of wave, one of fear rolled through me instead. What would happen on the other side? Where would I go? Was this some cosmic trick? Find out in Part V of Mystic in Mexico: Sirius Wisdom. This entry was posted in Mexico, mysticism and tagged atomize, death, drug, dying, full moon, hallucination, hikuri, Huichol, moon, Orion, peyote, peyote ceremony, portal, shaman, Sirius, Sirius Sun portal, stationary moon, sun, vision by Dawn Pier. Bookmark the permalink. What a beautiful post, Dawn! Your writing just rocks. Thank you so much Luanne! That means a lot coming from you.